Don’t be afraid…We will guide you through the haunted streets and allies of the French Quarter in the famous city of New Orleans. Your guide will mystify you with ghostly tales and entertain you throughout this haunting experience as you learn about the history of the city that is 300 years old. This is a walking tour that begins at 8pm and ends at 10pm. Don’t be afraid, join us as we tour the haunted French Quarter streets of New Orleans. You will enjoy a two hour tour of the dark side of the French Quarter. Your tour guide will mystify and entertain you on this haunting experience. Learn about the history, both good and haunting, of a city that is 300 years old. We want every guest to have a stellar experience, so our groups average only 15 to 20 people. With this smaller group, you can hear and ask questions to your guide. On your expedition, you will see the French Quarter from a different point of view. Bring you camera, you may even see a ghost! This is a walking tour and you will cover less than a mile. For those that like the flavor of New Orleans, arrive between 7pm and 8pm. We have special arrangement for our guests: “two for one” Hurricanes (drink) from the bar. The Haunted New Orleans Ghost Tour and more goes under most conditions, so if it is raining, bring an umbrella or rain poncho. The tour starts at the Voodoo Lounge – 718 N. Rampart St., (corner of Orleans Avenue and N. Rampart). Cost is $20, Children under 10 yrs old are free with a paid Adult ticket. Tour begins at 8pm and ends at 10pm. 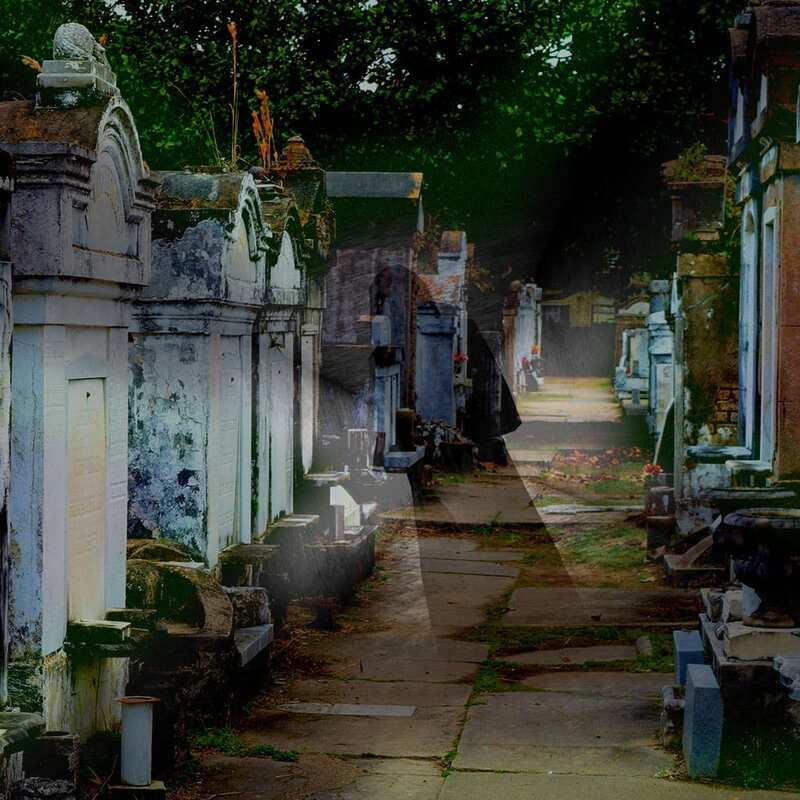 The two hour ghost walking tour of the French Quarter begins at 8:00 pm but all guests should arrive at 7:50pm at 718 N. Rampart St at the Voodoo Lounge. This is on Rampart St at the corner of Orleans Avenue. Once you arrive, please walk inside and look to the rear for a red sign that says “TICKETS”. You will receive your passes that you will give to the guide who will be outside the Pub, ready to start the tour at 8pm. It will be an approximately a ½ mile walk that stops along the way for the guide to do his/her narration with a restroom break in the middle of the walk. Remember to wear comfortable walking shoes and clothes to match the weather conditions. If there is scattered rain, an umbrella would be an added bonus, just in case you have a shower pass overhead. The tour will end about 10:00 pm.